So imagine you’re skiing (or boarding) in Vail, Colorado, where the weather is delightful, the snow – plentiful, and the women – beautiful. And then you get offered to take a brand new Cadillac around a snow/ice course. Can life get any better? The Wreath-and-Crest brand offered patrons of Vail Resorts the ability to do just that during a recent event, aptly named Cadillac Ice Drive. The complimentary occasion “provides consumers with a hands-on driving experience through classroom and on-track performance instruction in Cadillac’s family of all wheel drive vehicles at Vail Resorts.” Where do we sign up? In all seriousness, this is some clever marketing: put your target market in the cars you want them to buy… while they’re on vacation. 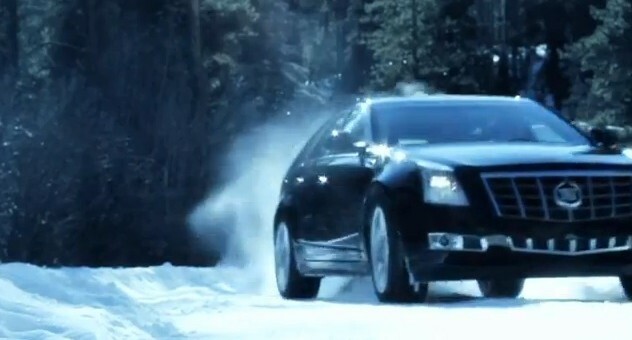 Oh, and did we mention that Cadillac is the official sponsor of Vail Resorts?